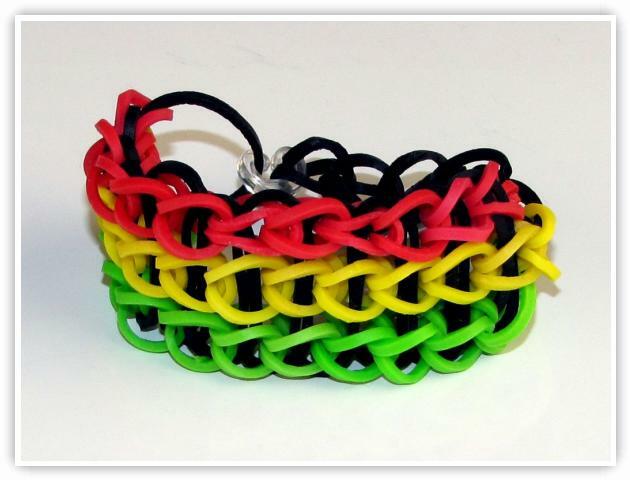 Description: This is a progression of the Single Bracelet, combining 3 single patterns side by side to produce a wide, attractive bracelet. There are a lot of variations of this pattern on the internet. It is also very popular because it is easy to make, can be used with many color combinations, and sequence combinations. It can also be made into a All-Around Pattern as well. The All-Around-Triple Single is posted under our Advanced section.